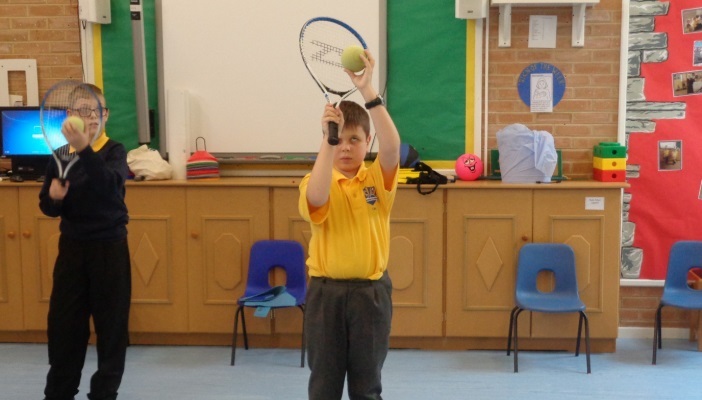 The Tennis Foundation works with school and colleges to help more young players take up the sport, including children with a wide range of disabilities. “I first got into tennis nine months ago because of school. I go to a mainstream primary school which has a base that supports me and other VI children. VI tennis is different from tennis because we use a different type of ball. It’s a soft, spongy ball with a bell inside. “I really enjoy our tennis sessions because it’s fun. I learn how to enjoy and play a sport. I’m not part of any tennis clubs or leagues, but I do play it weekly in school. I really enjoy being sociable with the other children. I know that playing sport is good for you because it gets your heart pumping and working harder. It makes blood pump around your body supplying oxygen to your heart and brain. “Recently, me and six other VI children from my school went to Loughborough University to take part in a Junior VI Tennis Festival run by the Tennis Foundation. It was a really long day because we set off from school at 8am in the morning and didn’t get back until 8pm at night. Over the course of the day we played lots of warm up games, developed our skills for listening for the ball, practiced hitting the ball over the net, and worked with a partner to pass it backwards and forwards. Some children even got into playing full rallies with some of the coaches. We were given a tennis racket and a ball for taking part. I went to bed as soon as I got home!" “Tennis is a sport that gives young people not just the physical literacy they need to be active in later life, but the life skills – such as resilience, adaptability and drive – that will help them whatever their ambitions in education, employment or personal life. If you’re looking to develop tennis within your school, please visit the Tennis Foundation website. Loughborough Echo: "Junior tennis festival hailed a success".